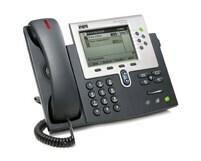 On-campus mobility using voice over wireless LAN with the Cisco Unified Wireless IP Phone 7921G and Cisco Unified Wireless IP Phone 7925G to extend advanced unified communications capabilities for mobile workers. 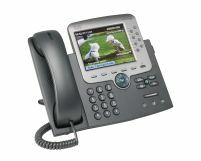 An important component of the Cisco Unified Communications system, the Cisco Unified IP Phone 7985G is a personal desktop videophone that makes instant, face-to-face communications possible for executives and managers alike. 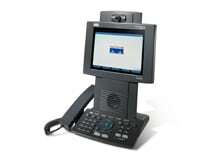 This model integrates all the necessary components to enable a video call--camera, LCD screen, speaker, keypad, and handset--into a single, easy-to-use unit. 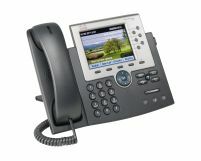 IP telephony and IP video telephony are delivered to every employee using a unified dial plan and common directory--over a single Cisco Unified Communications infrastructure--through Cisco Unified CallManager.